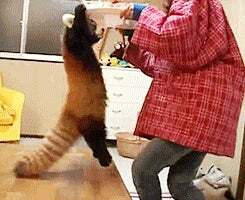 Pounce On In To Your Saturday Open Thread! Senior Week Saturday, to be exact. Not that really means anything to me since I think that’s for the people that are actually paid to write on Kinja. I’m doing this for free, but I am willing to stop for the right amount of donations. Today I spent a couple of hours fixing up my old Odyssey II system. It’s an old retro game system so I had to fire up and dust off an old TV to see if it’s fixed. So far so good, other than the flash in the middle of the pic, and the dust. KC’s Crazy Chase still holds up. 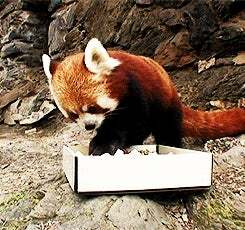 Now it’s past lunch time and I’m pretty hungry, which is a good excuse to share more Red Panda gifs. So how is O-Deck spending the weekend? Got some awesome food plans? Working on a hobby? Got Something you want to talk about? Post it below, open thread style.